Over the years many wonderful gifts have come and gone. Do you remember or perhaps given or received one of these great gifts. Unique gifts are talked about and remembered long after they've been received. 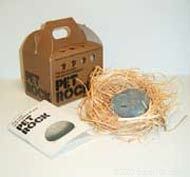 Remember, back in the 70's, the pet rock? Did you buy one or give it as a gift? Did you get your deed to an acre on the Moon? Do you have a deed to Mars? Pet Rocks are long gone. 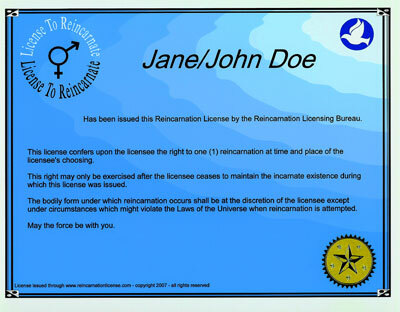 Now you can get the perfect gift for the new millennium a Reincarnation License. Not just a great gift, but very affordable. Just click "Get a License" on the menu or click here to see how you can get this great unique gift.